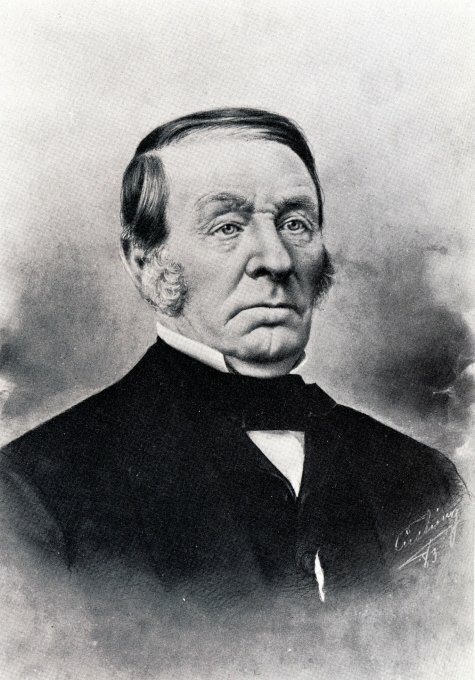 Captain Edward O'Brien eventually became the wealthiest man in Thomaston. Like Samuel Watts, he built ships and invested in railroads and owned two houses in town. The first house was at 313 Main Street, which he eventually sold to his son, Edward Ellis O'Brien in 1856. He purchased a second lot across the street at 326 Main Street in 1847 and built a large house there in which he lived until his death in 1882. Both houses were very similar in construction, Greek Revival in style and had full length windows carried to the floor on the entry level of each house. They also had decorated verge boards along the eaves and porches which extended the width of the front of the house and wrapped around to a side entrance. Alas, both front porches were eventually removed and bay windows were added to the house at 313 Main Street.